Oops I did it again. Apparently the philly cheesesteak obsession is here to stay… In that case, let’s check out the latest low carb stuffed pepper recipe!!! 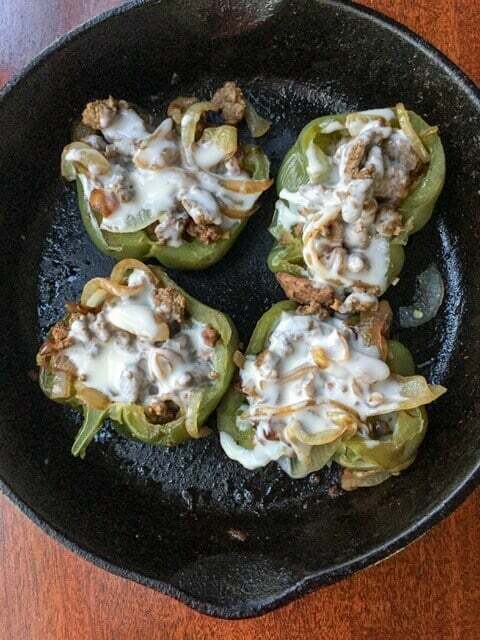 The bell peppers make the perfect low carb edible bowl for the beefy, cheesy filling. I also discovered a way to cook the peppers so you can make this in one pan on the stovetop. 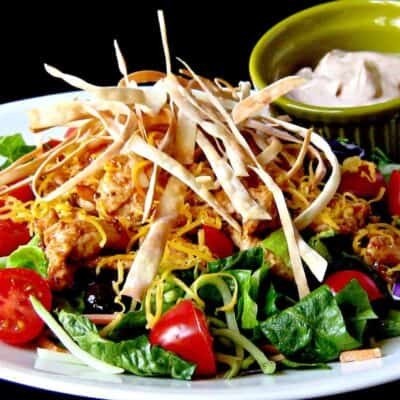 I have used 2 types of cheese -queso melting cheese along with the traditional provolone cheese. 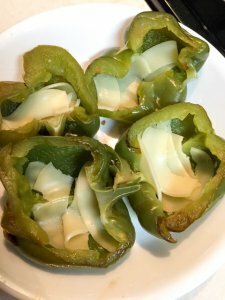 Below I have step by step pics to show you exactly how to make low carb philly cheesesteak stuffed peppers! Feel free to use any type of steak you prefer. Here I have thinly sliced minute steak to which I’ll add worcestershire sauce. The steak will be cooked to a delicious golden brown. Here are the bell peppers atop a bed of sliced onions. These will be covered to help soften the peppers without having to bake them in the oven. Once the peppers cook and steam, they will start to brown and soften. This will make them tender and easier to eat. The onions are mixed with the cooked steak before being stuffed into the bell peppers. Then stuff the peppers with filling and add more cheese on top. Place under the broiler to melt cheese or simply cover the pan and allow cheese to melt. So there you have it… Stuffed peppers with philly cheesesteak!! 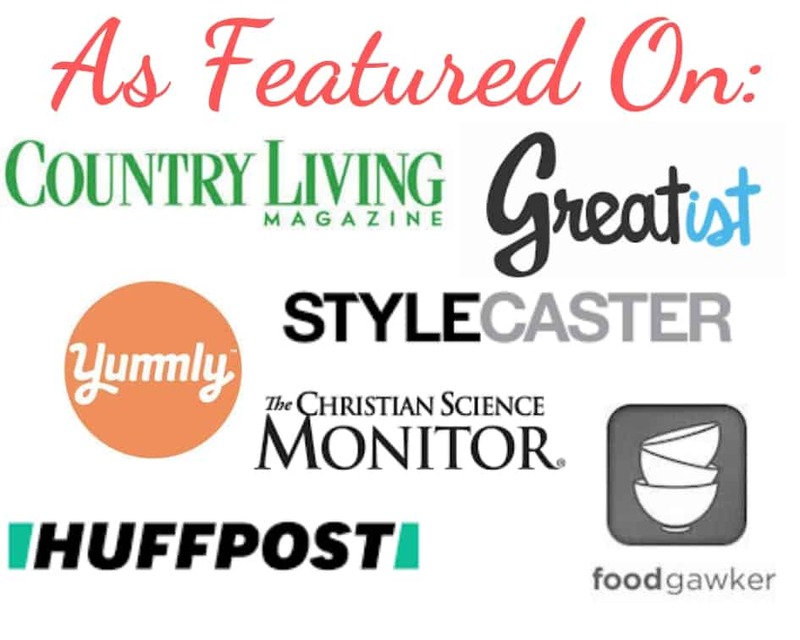 Looking for more philly cheesesteak stuffed pepper recipes? Melted cheese mixed with beef and onions in a bell pepper-low carb, easy and delicious. In a medium skillet, heat 1 tsp olive oil over medium heat. Add onions and garlic and sprinkle lightly with salt and pepper. Stir. Place pepper halves on top of onions. Cover and cook 15-20 minutes until onions are golden brown- stirring onions occasionally. Lower heat if needed to prevent burning. Uncover last few minutes of cooking. Remove onions and peppers from skillet into a large bowl. Add 1 teaspoon olive oil to skillet and turn heat to med high. Add worcestershire sauce to steak pieces and stir then cook in 2 batches -stir frying until browned and cooked- about 2-3 minutes. Add 1 teaspoon olive oil to skillet for each batch of steak cooked. Add cooked steak to bowl containing cooked onions and stir to combine. Place 1/2 slice provolone cheese in the bottom of each pepper half, then fill peppers with steak/onion mixture. Heat queso cheese then drizzle evenly over peppers. Place peppers back in skillet on low heat. Cover and heat until thoroughly warmed. OH BEHAVE! These are seriously genius. And look so delicious. And yes, I might be drooling right now just looking at the photos. Cannot wait to try! Thanks Karly- Hope you enjoy them!